Our Stud Frame Sheds are prefabricated with wall frames including opening for windows and doors already in place, which result in low installation costs and overall better results, as well as an attractive Do-It-Yourself project. 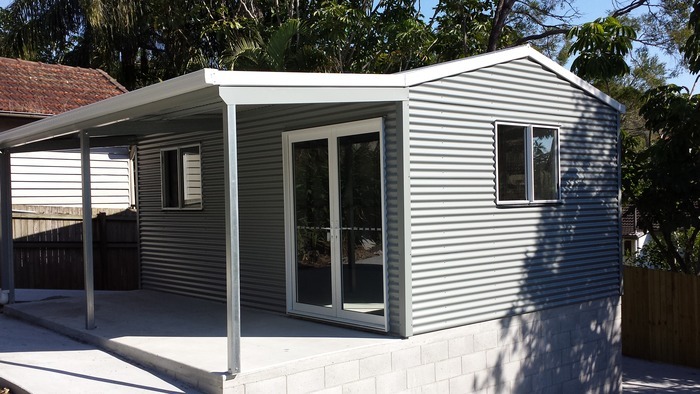 A popular choice of design, the addition of a verandah makes this an ideal secure building for a Garage/Workshop, the hobby enthusiast or weekender. We custom make to suit your needs. 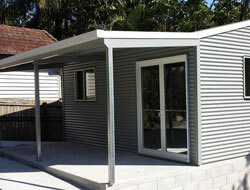 The Brisbane Stud Frame Shed is proudly made with Aussie products.